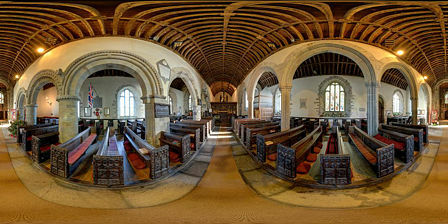 Last month I added a three panorama tour of St Cuby’s Church, Duloe. The church was built between the 13th and 15th centuries and the north aisle added in the 16th. It was restored in 1860 by J P St Aubyn. The Coleshull chantry chapel has some fine examples of 15th and 16th century slate tomb memorials. While I was there I also photographed and made a panorama of the Duloe Stone Circle. On a recent trip to Paris I took the opportunity to revisit the Sainte-Chapelle. My previous visit had been during the restoration of the stained glass windows, half of which had been covered in scaffolding. 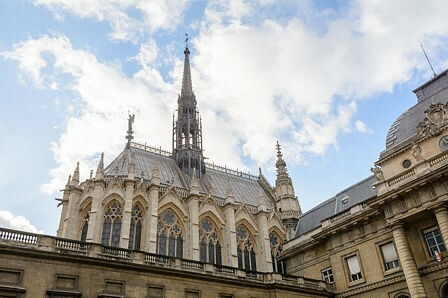 Sainte-Chapelle was built in the Rayonnant Gothic style between 1242 and 1248 on the the Île de la Cité in Paris to house Louis IX’s collection of relics of the Passion of Christ. The upper chapel is adorned with a unique collection of fifteen windows, each one 15 metres high, and a large rose window (which was added about 150 years later) forming a cage of glass, two-thirds of which is original. The windows depict over 1,100 scenes from the bible. 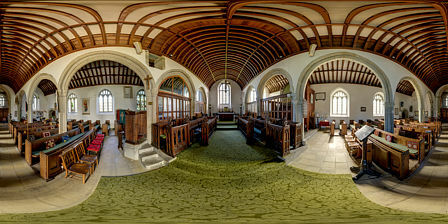 I’ve just added another eight churches to my collection of 360° panoramas of the interiors of Cornish parish churches. On my first foray I photographed Launcells, Week St Mary, North Tamerton and Treneglos. I did visit another four, but they were all locked with only two giving detalis of a keyholder. Of the two that did, one was out and the other slammed their window shut when I rang the doorbell and wouldn’t come to the door. Not much point in them having the key! 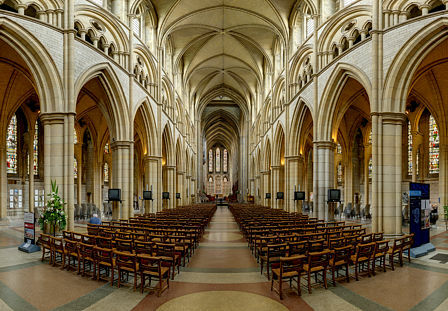 While my car was being serviced during a recent trip to Cornwall I took the opportunity to do the photography for a 360° panoramic tour of Truro Cathedral. The cathedral has a policy of allowing photography, but ask for a fee of £5 to use a tripod – which seems very reasonable to me. 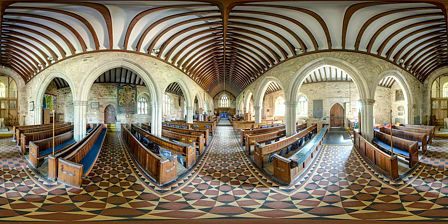 I made six panoramas for the tour, the west front, the nave, crossing, chancel, St Mary’s aisle and the All Saints chapel behind the high altar. 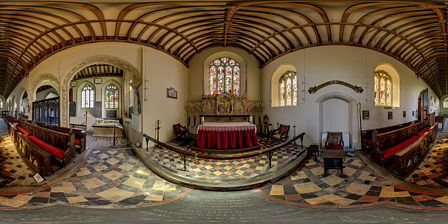 Earlier this week I drove up to the very north of Cornwall to photograph and make 360° panoramas of the churches at Morwenstow and Kilkhampton. They have some of the earliest features still to be seen on any Cornish church, both having Norman arches to the south door. In the case of Morwenstow a second Norman arch (reused from another church) was added when the porch was built, probably in the 15th century. 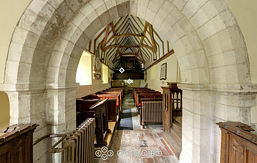 Three bays of the north aisle also have Norman arches with zig-zag moulding.